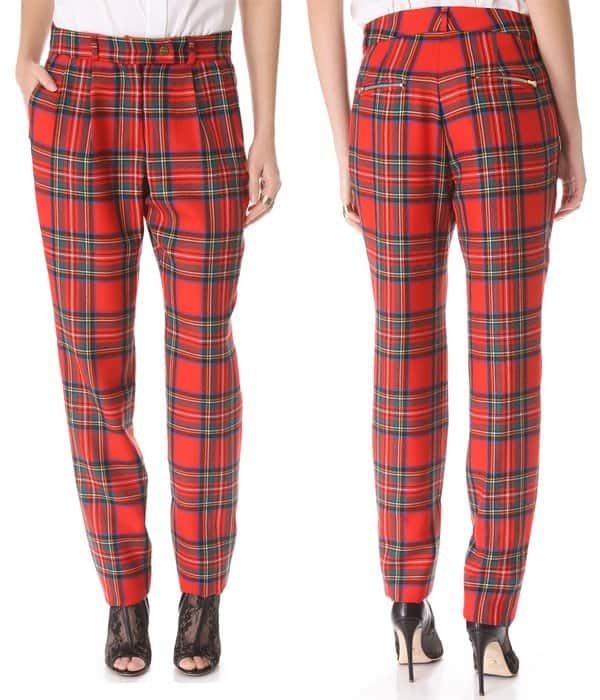 A fail-proof way of spicing up your fall and winter ensembles is by wearing the coveted and much-loved tartan plaid pants. 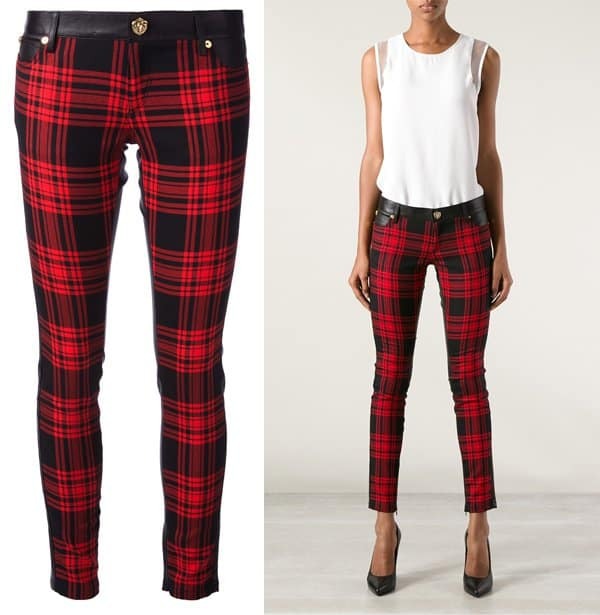 Whether your style is preppy or grungy, you need a pair of tartan plaid pants in your wardrobe. Get ready to learn how to style them for this season and the next from the gorgeous and fashionable bloggers below. It has the right touch of preppy, don’t you agree? Marta from the ‘Dear Diary Fashion’ shows us how to do it. Unfortunately, her fashion blog is no longer available online. She mixed up her red tartan pants with a mustard yellow sweater and capped off the preppy look with black oxford shoes. It’s leather jacket season once again! Why not combine these two timeless trends (leather and tartan)? It gives any look some extra edge. Marianela from Marilyn’s Closet wore her trousers with a cute ribbed leather jacket and a button-down top. But she kept it feminine with a classic black pumps. Like Rocio of ‘La Percha’, inject cool factor to your ensemble by wearing your pants with a graphic-printed shirt and a basic black blazer. Her fashion blog is unfortunately no longer available online. It’s the perfect outfit to wear when you are feeling lazy but still want to look like a million dollars. If it isn’t that cold, a shirt with a long vest will do the trick. You can substitute the shirt with a fitted pullover when the days turn colder. My Showroom‘s Priscila put together an effortless outfit capped off by cropped pants and sunnies. Here’s another preppy outfit. Tatyana of ‘Secret Little Stars’, who hails from the origin of the print, Scotland, rocked a red sweater with a white collared top underneath. We also love her amazing kicks. Unfortunately, Tatyana’s fashion blog is no longer available online. We chanced upon Kelli’s Kelli Murray, and we think her shirt and the slouchy pants combo is tres chic! It’s the kind of outfit that won’t bother you whether you are out shopping or having a get-together with friends. Cut from classic wool tartan and punctuated with polished gold-tone accents, these pleated Preen trousers take on a cool, grunge-inspired element. 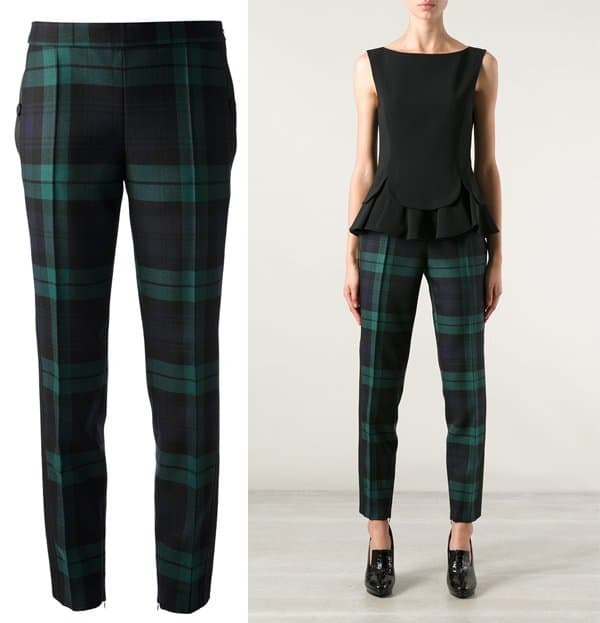 Cool tartan lends a bold, modern look to classic True Royal trousers. 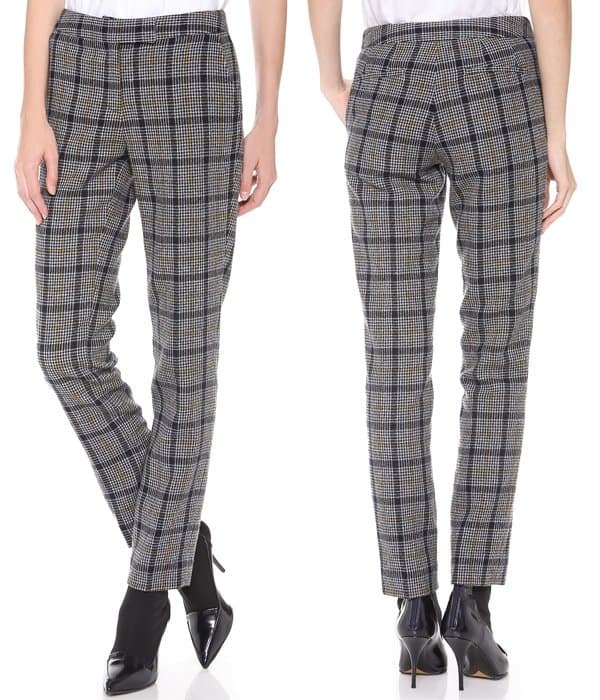 These slim, straight-leg Creatures of the Wind trousers have sophisticated, vintage appeal in wool houndstooth tweed. 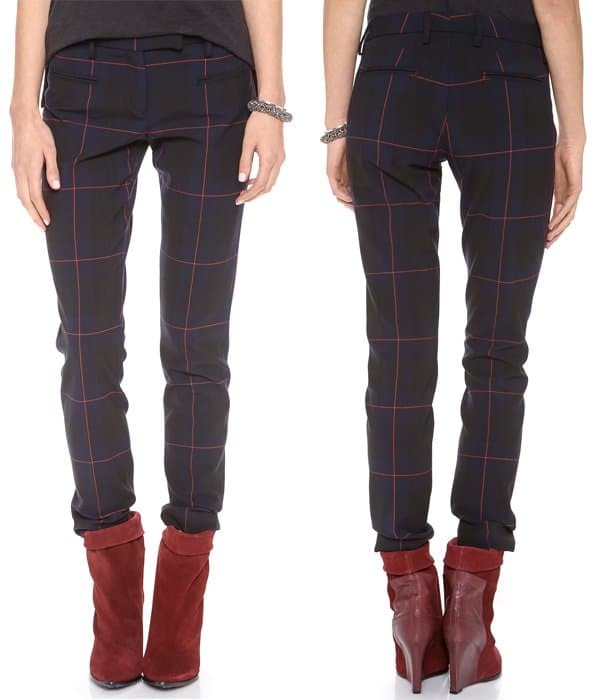 Now, start planning your wardrobe for the fall and winter seasons with these pants!